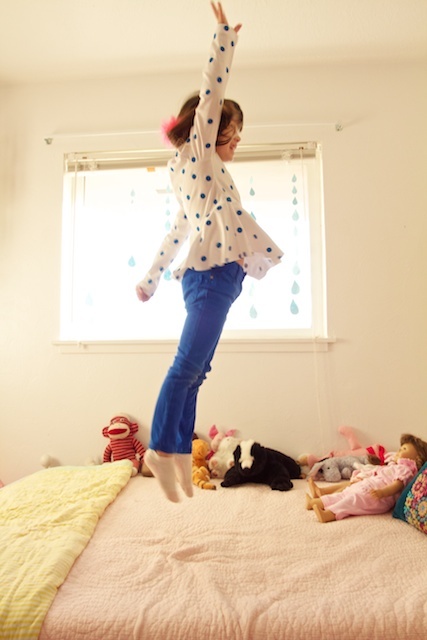 Polka Dot DIY x 2! Today I have two DIYs to share with you! The second polka-project is Paige's first magazine feature! (So proud!) 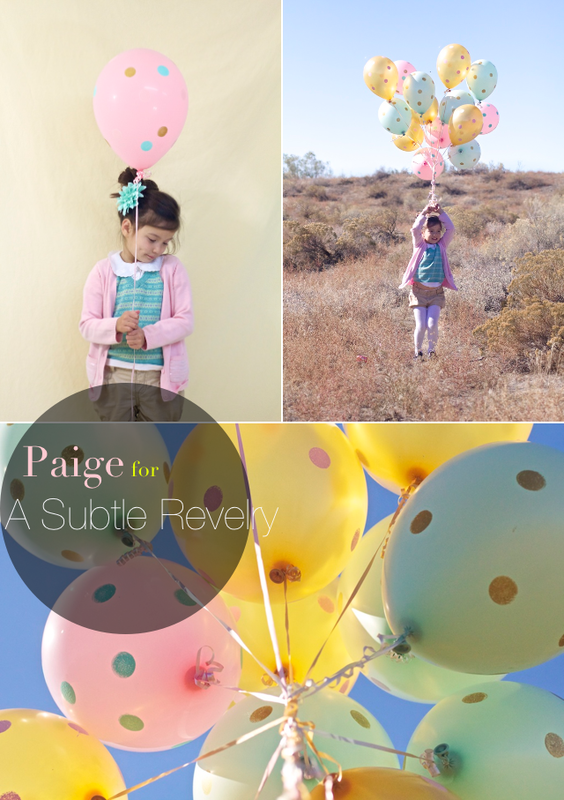 She had the idea to make polka dot balloons a while back and Victorial Hudgins of the online magazine A Subtle Revelry asked us to share them in their absolutely GORGEOUS Holiday issue. Fun!! We're on Page 122, or see the project in post form, here. We'd love it if you checked them out! Yay! Beautiful projects! Congrats Paige! Love the polka dots! Congrats to Paige! Wow I love the jump picture. And also the picture with the balloon. Any way which camera you used for take these picture ? Hooray, Paige! Thank you for the idea - I am going to borrow it to decorate for my friend's baby shower next weekend! Paige's tutorials are my favorites.....I wonder what happens to the dots when the balloon starts to lose air...they must shrink...hm.